Together with the Warn Ascent bumper installed in front of your full-size truck, you will definitely have a chance to enjoy an off-road trip you have been planning for long already. Giving preference to this bumper you are going to get 3 in 1: an aggressive look, a solid construction, and sure the flawless functionality, without which any stylish bumper will be useless. Want to know more about the features making this bumper series one of the best at the today’s market? Then continue reading the Warn Ascent bumper review revealing all important details about its use. Is Warn Ascent Front Bumper exactly what you need? Nowadays there are a lot of companies producing different accessories for off-road, which is becoming more and more popular every day. That’s why one may face a dilemma, which winch and bumper to choose to have the 100% guarantee of the safe off-road journey. Choosing products made by the American Warn company, you take a right decision as their main priority is quality and an attractive style. You will understand this looking at the Ascent front bumper. Clear edges and a unique low-profile bumper design increases the angles of attack and optimizes the operation of the SUV. In addition, Warn Ascent front bumpers to have a prepared place for installing legendary winches offered by Warn. The most suitable will be winches of either ZEON or ZEON Platinum series, however, other models will suit as well. Front bumpers Warn Ascent are chosen by those car owners who care about the integrated style and functionality for the full-size American pickup trucks. Is Warn Ascent Front Bumper Suitable for Your SUV? Here you will find car models, which are suitable for the installation of the bumper from Warn brand. 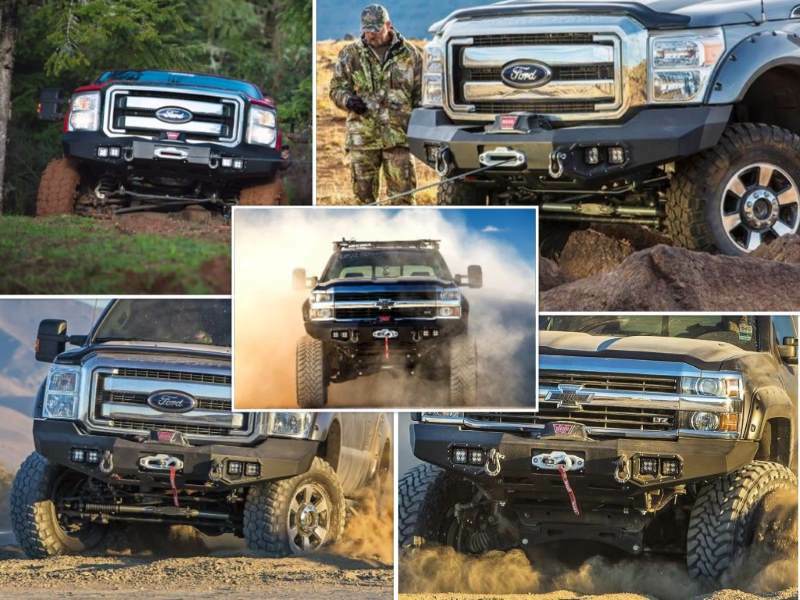 Check out the list to know for sure that Ascent bumper will be a perfect choice for your vehicle. Are you the owner of one of the above-mentioned car models? Then you are lucky to have a great opportunity to install a high-quality protection guaranteed by the Ascent bumper from Warn. Clear edges and a unique low-profile design provide maximum ground clearance. Winch space – most Warn winches with pulling force up to 12,000 pounds (5.44 tons) are available in the front bumper: ZEON and ZEON Platinum, 9,5 xp, XD9000, M8000 and Tabor. The bumper has special places for installing fog lamps. Reinforced points for the installation of D-shackles. A durable black textured powder coating over 32 mm (1.26″) of steel provides high anti-corrosion properties. Pre-drilled bolt holes and cut holes make it easy to install the Warn winch even without removing the Warn Ascent front bumper. The bumper allows you to install larger tires. Warn Ascent Front Bumper is considered the best deal because it is known as easy to install. These bumpers are completely ready for the Warn winch installation, which make them very convenient in use. 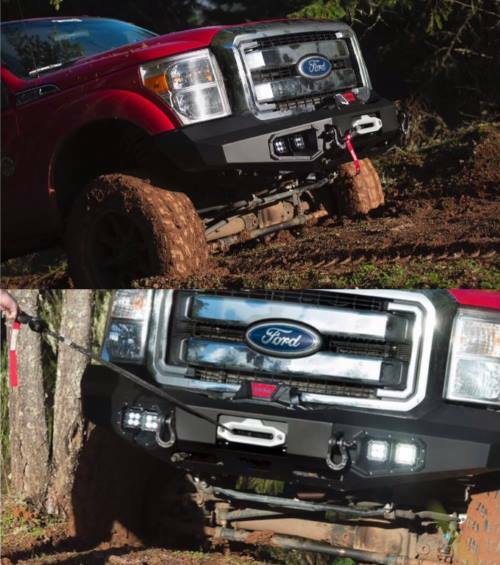 Moreover, you will be able to mount a winch after you have already installed a bumper. No need to remove it again to put a winch in its place. Holes and cutouts that have been already predrilled make it not a problem to install any winch series up to 12 pounds (5.44 tons) pulling capacity. According to the off-road enthusiasts who have already had a chance to check out the functionality of Warn Ascent bumper, it showed impressive results, which have exceeded the expectations. A well-optimized off-road experience is what you are guaranteed to get choosing Warn bumper that is compatible with your vehicle model. Here you will find the most common questions asked by those who are going to get Warn Ascent bumper. You are recommended to check out the answers to take the well-informed decision if you are looking for a bumper for your SUV. Do I get only a bumper or a winch as well? Purchasing Warn Ascent bumper you are going to get only a bumper and a winch should be bought separately. However, the range of winches is huge as almost all Warn winch series is suitable for the installation. The only thing to keep in mind choosing a winch for the bumper is that a pulling capacity shouldn’t be more than 12 pounds (5.44 kg). Does winch installation require efforts? One of the things the bumper owner will benefit from is that it is really easy to install a Warn winch at the rig’s front. Is there a risk to face any rusting issues? There is no need to worry about rusting as Warn bumper Ascent has a top quality corrosion protection that has been salt-spray tested. What makes it different from other bumpers? 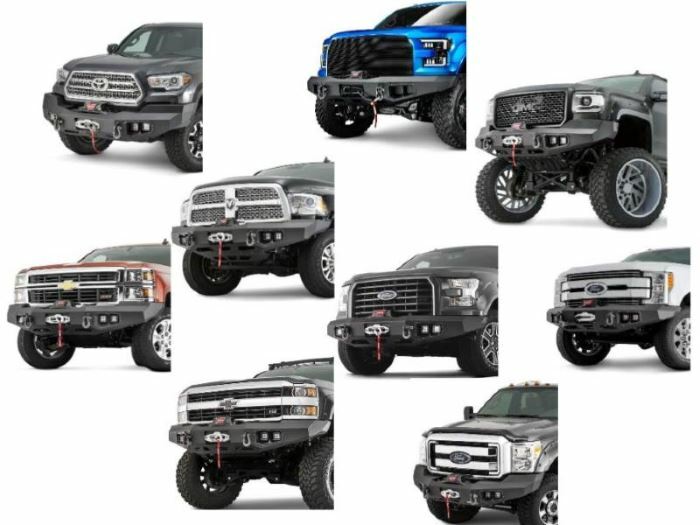 As it is well-known, the legendary brand of off-road accessories Warn is able to satisfy wants and needs of the choosiest off-road lovers and Ascent front bumper isn’t an exception. One will definitely like its design and high-performance features, which make it worth its money. Is there any guarantee that the bumper will help if I stuck? In case you will face a trouble, such an option as the welded recovery points having D-shackle will make the recovery process much easier. Is it possible to mount auxiliary driving lights to my truck? You will be glad to find out that thanks to the presence of the dual light port, it is possible to have auxiliary driving or floodlights. Which Warn Ascent to choose for Chevrolet Silverado 1500? 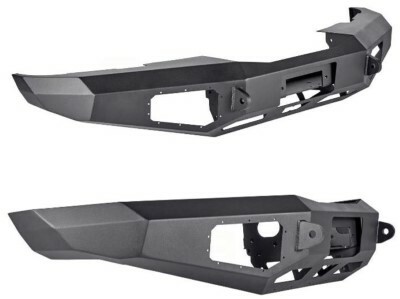 If you have Chevrolet Silverado 1500, then the bumper, which will fit its car model is Warn 95800 while Silverado 2500 and 3500 will be compatible with the bumper Warn 95870. Can Ascent bumper be used for Toyota? The latest models of 2016-2017 Toyota Tacoma owners should choose Warn 97684. 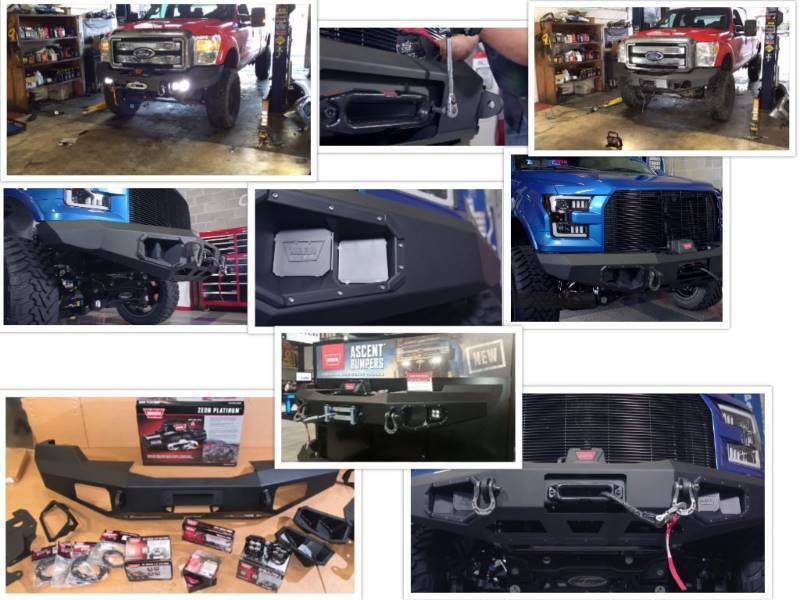 Warn Ascent bumper series is for sure a good option to consider if you are looking for the powerful tool for your Ford, Chevrolet, Ram, Silverado or the latest Toyota Tacoma models. Those who want to get the combination of the outstanding style and performance should have no doubts considering the Warn bumper purchase as it can offer much more than you can even imagine.